APRIL Group revisited Bishan-Ang Mo Kio Park on Nov 28, 2015 to be part of a multi-stakeholder Mass Tree Planting event. Tree planting at Bishan-Ang Mo Kio Park. 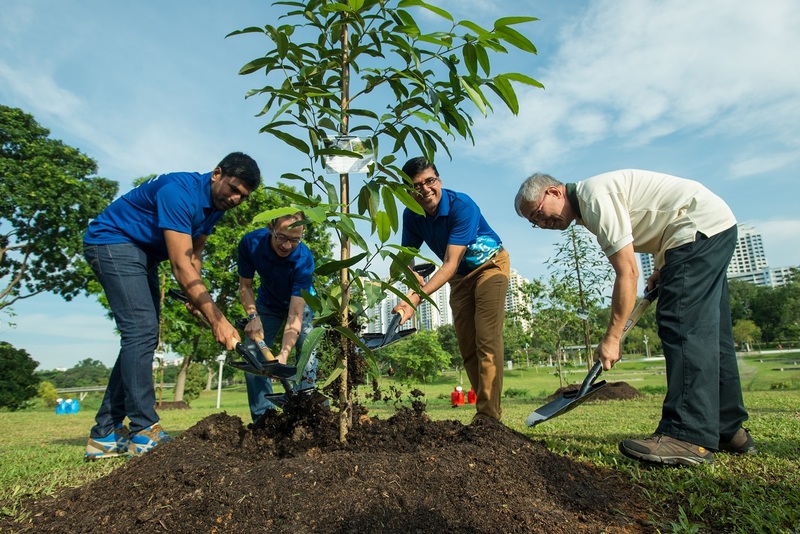 The pulp and paper giant joined National Parks Board (NParks), students, NGOs and members of the public in planting 250 trees to commemorate Clean and Green SG50. This marks the largest number of trees planted at the Park this year. 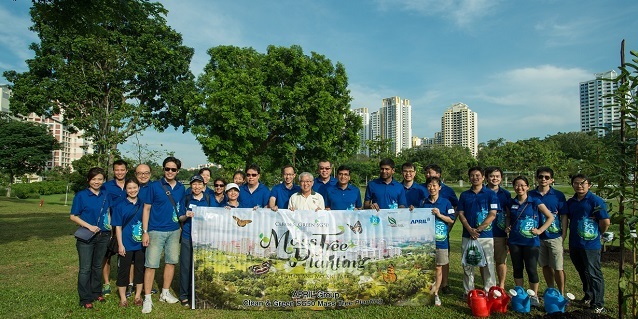 This was also APRIL’s second event of the year at Bishan-Ang Mo Kio Park, the first seeing 300 shrubs planted to double the size of the Park’s butterfly habitat. 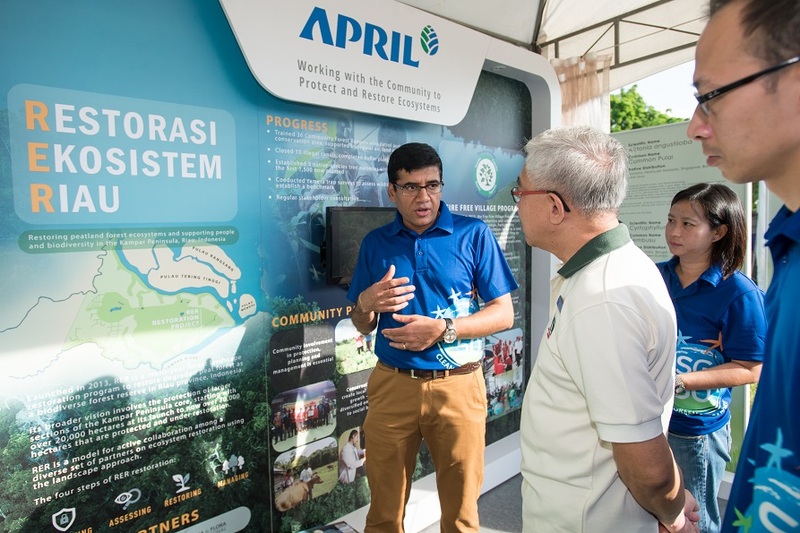 APRIL Group President Praveen Singhavi shares with NParks Assistant CEO Kong Yit San the Restorasi Ekosistem Riau programme, which covers more than twice Singapore’s land area. This edition nevertheless saw the same spirit of private-public-people collaboration towards the common goal of greening our environments. 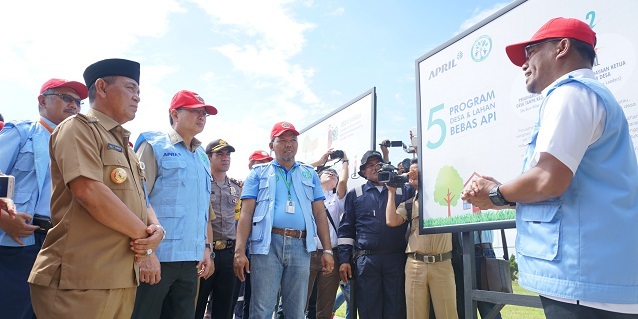 The activities are extensions of APRIL Group’s wider and longstanding sustainability agenda, one that leverages collaboration for the long-term benefit of stakeholders at the community and national levels. 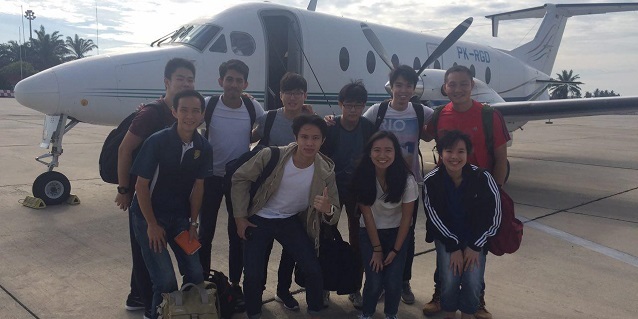 As with many of its programmes, APRIL Group constantly emphasises the awareness of the environment and sustainability among younger stakeholders, empowering them to embrace sustainable practices and be sustainability advocates themselves. The Mass Tree Planting welcomed students and families with young children among its participants. 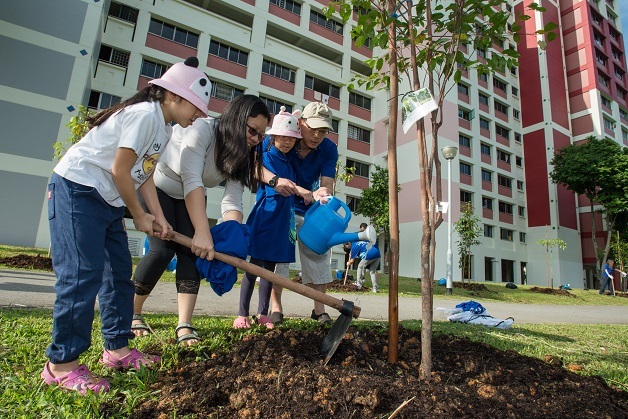 Tree planting is made a family affair at Bishan-Ang Mo Kio Park. 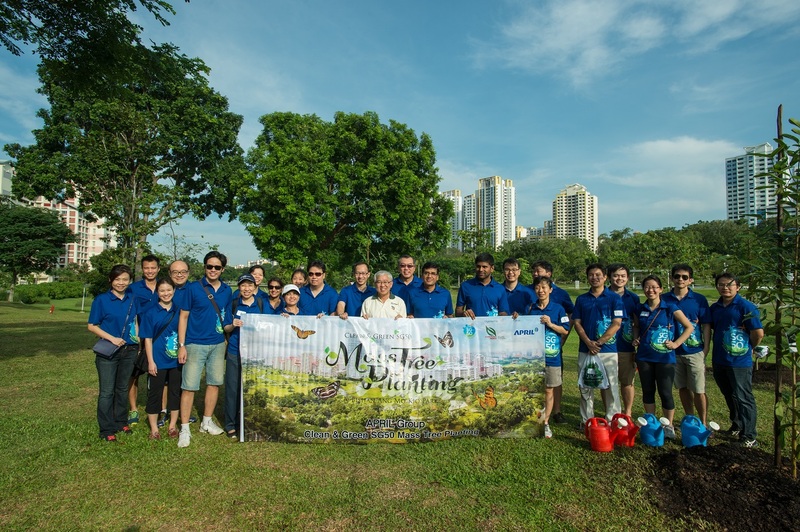 The tree planting event is part of APRIL Group’s five-year contribution of SGD 100,000 to NParks via its registered charity and IPC, Garden City Fund. This contribution also included the enhancement of the butterfly habitat in July. The event is significant for APRIL Group, for while it plants 150 million trees a year and commits heavily to the restoration, conservation and protection of peatland and forests in the Restorasi Ekosistem Riau programme, it is the first time it has planted trees in Singapore. This initiative is a powerful reminder of the importance of trees and forests in meeting the climate challenge. 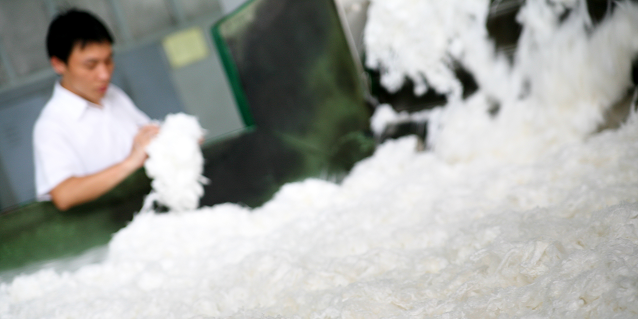 At APRIL, we are not only in the business of growing trees for production purposes, but also conserving and restoring forests. Everyone plays a part in greening our environment.